In this episode we have a story from Manuel Foucher, manager of the Portland Mercado (7238 SE Foster Road, Portland.) He recollects his early memories of growing up in and working at his father’s beach restaurant in Cozumel, Mexico and how his experiences led to a career in the food industry. He also talks about the grand opening of the Portland Mercado this coming Saturday, April 11th. The story and interview were recorded at KBOO Community Radio in Portland, OR. Coming on April 20, don’t miss our story and conversation with Liz Carlisle, author of Lentil Underground. 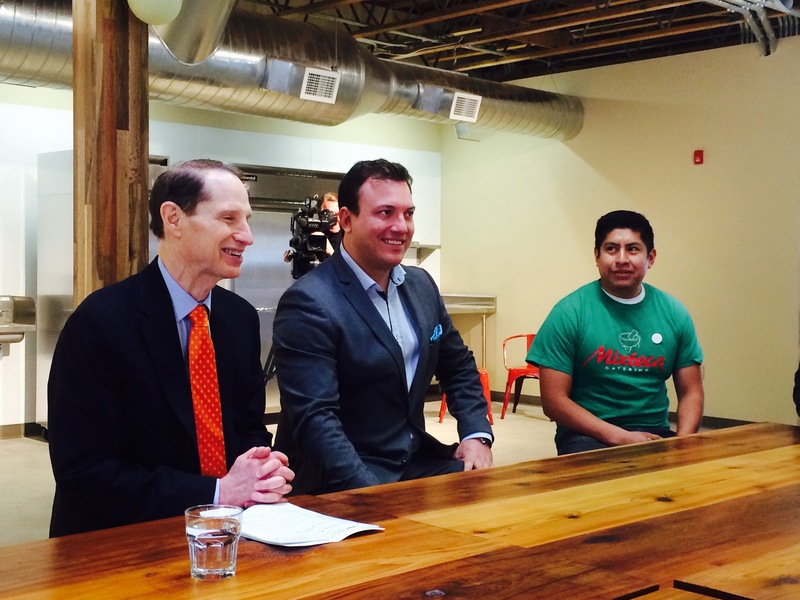 Manuel Foucher (center) with Senator Ron Wyden (left) and Gaudencio Felipe (right.) Photo courtesy of the Portland Mercado.